Indian stocks have fallen out of favor with overseas investors this month, with markets cooling slightly after a stellar 2017 performance. New data shows foreign institutional investors have pulled out $1.5 billion from Indian shares in February, following the market correction in the U.S. which hurt Indian indices, on top of fears concerning the major financial services firm Punjab National Bank, which is at the centre of a $1.8 billion fraud case. On top of this, India has a flourishing middle class. By 2020, India is projected to be the world’s third largest middle class consumer market behind China and North America. By 2030, India is likely to surpass both countries with consumer spending of nearly $13 trillion. The Indian population’s interest in investing in stocks has also grown exponentially – domestic mutual funds got a whopping $20 billion in 2017, around double from the year before, mostly due to average (non-institutional) investors, who were looking to take advantage of the awesome stock market rally (see chart below) during the year, instead of sticking with more traditional choices like gold or real estate to put their cash into. All signs point to a thriving economy in the long term. Indeed, we will receive Indian GDP data for Q4 2017 this week, where estimates anticipate growth of 6.90 per cent for the quarter – its fastest growth since December 2016! 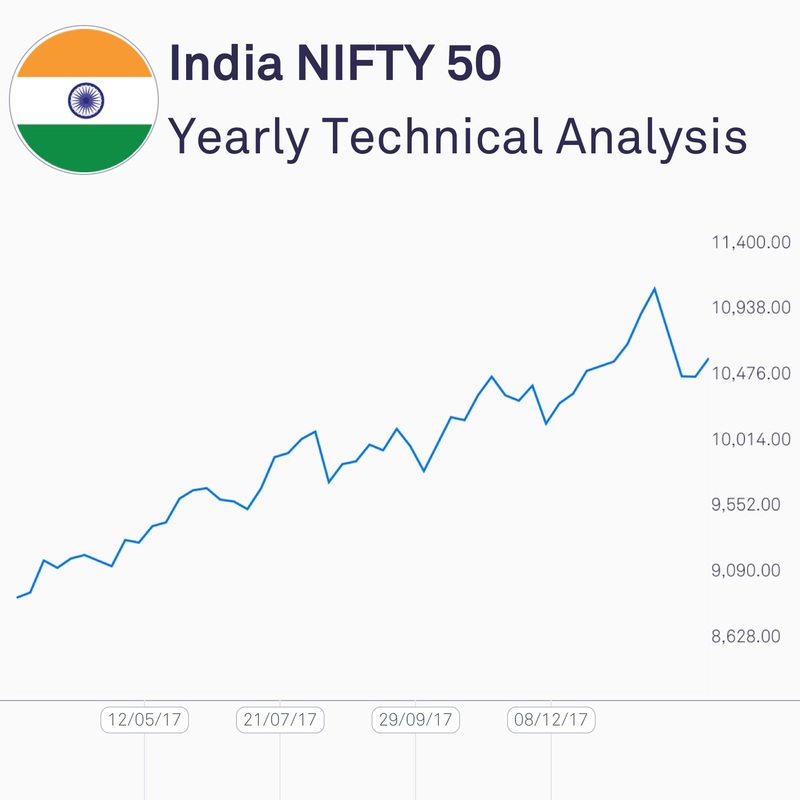 Despite a small dip in February 2018, India’s key NIFTY50 index has seen a stellar run over the last year!